Be heard loud and clear! The MegaVox Pro is the most popular and most reliable portable public address system on the market. It’s best used outdoors for crisp, clear voice amplification that can be heard over 100 yards. 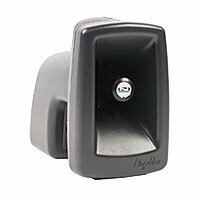 Its siren alert button will surely grab everyone’s attention. Use the MegaVox outdoors for speaking engagements, announcements, band practice, track meets, emergency preparedness, auctions, shooting ranges, military trainings, and more! Can be paired with a MegaVox Pro to reach a distance of 200 yards! Product HWD: 14" x 13" x 8.5"